Of the plurality of the ONE. There is a feature on my work on coteaching in InTuition, a journal for professional teachers and trainers. Board Member of the Universal Science Education Research Network based on currently being "one of the world's top 1% scientists according to Thomson Reuters' Essential Science Indicators." The latest citation numbers can be found on my Google Scholar page. Wolff-Michael ROTH, Transactional Psychology of Education: Toward a Strong Version of the Social (Cham: Springer, 2019). In this book, the author articulates a transactional psychology of education drawing on the works of G.H. Mead, J. Dewey, G. Bateson, F. Mikhailov, and E. Il�enkov. All theoretical positions are developed out of videotaped exchanges, thereby giving concrete character to every psychological concept articulated. Mijung KIM and Wolff-Michael ROTH, Dialogical Argumentation and Reasoning in Elementary Science Classrooms (Leiden | Boston: Brill, 2019). The authors elaborate a theoretical approach in which argumentation first exists as a dialogical relation for participants who find themselves in dialogical relations with others. Students come to understand the grammar of argumentation only after they already are competent in knowing-how to engage in argumentation. Wolff-Michael ROTH, Dwelling, Building, Thinking: A Post-Constructivist Perspective on Education, Learning, and Development (Leiden | Boston: Brill, 2018). In this book, the author presents a major challenge to (social) constructivism, which has become an ideology that few dare to critique. Transgressing the boundaries of this ideology, the author develops an alternative epistemology that takes dwelling as the starting point and ground. Dwelling enables building and thinking ("constructing"). Norma PRESMEG, Luis RADFORD, Wolff-Michael ROTH, and Gert KADUNZ (Eds.) Signs of Signification: Semiotics in Mathematics Education Research (Dordrecht: Springer, 2018). 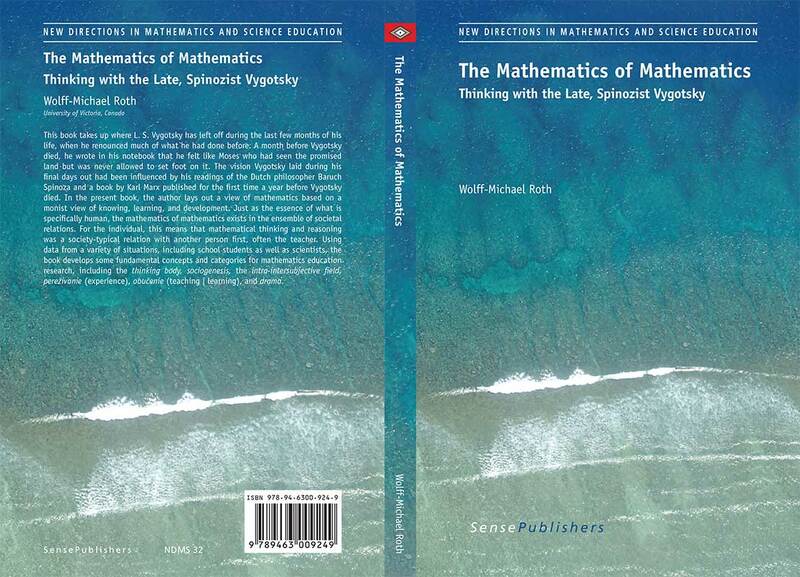 Wolff-Michael ROTH, The Mathematics of Mathematics: Thinking with the Late, Spinozist Vygotsky (Rotterdam: Sense Publishers, 2017). 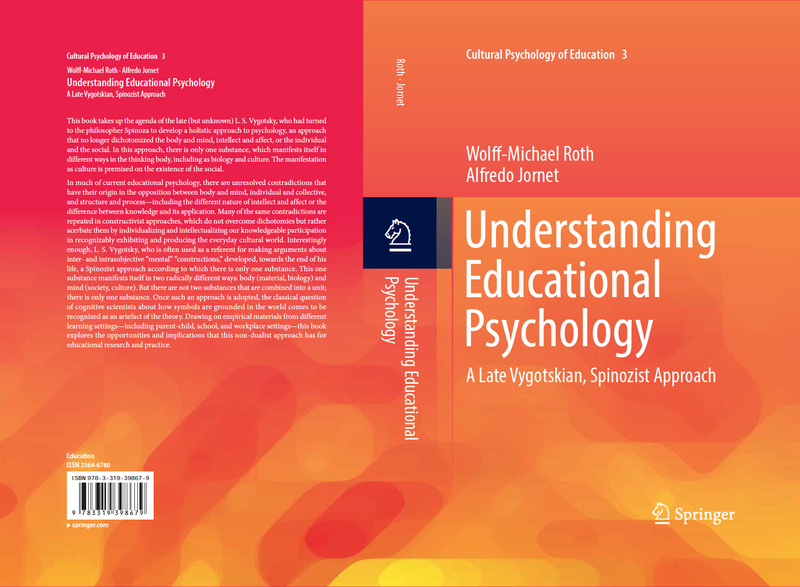 Wolff-Michael ROTH and Alfredo JORNET, Understanding Educational Psychology: A Late Vygotskian, Spinozist Approach (Dordrecht: Springer, 2017). Wolff-Michael ROTH, Cognition, Assessment, and Debriefing in Aviation (Boca Raton, FL: CRC Press, 2017). Lucy AVRAAMIDOU and Wolff-Michael ROTH (eds. 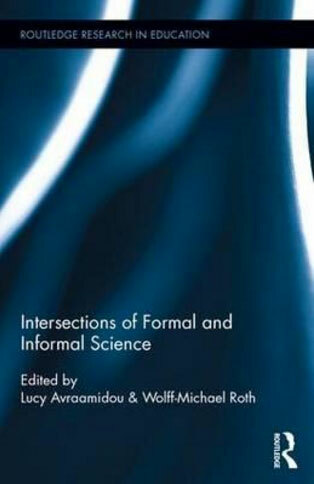 ), Intersections of Formal and Informal Science (New York: Routledge, 2016). Wolff-Michael ROTH, Concrete Human Psychology (New York: Routledge, 2016).